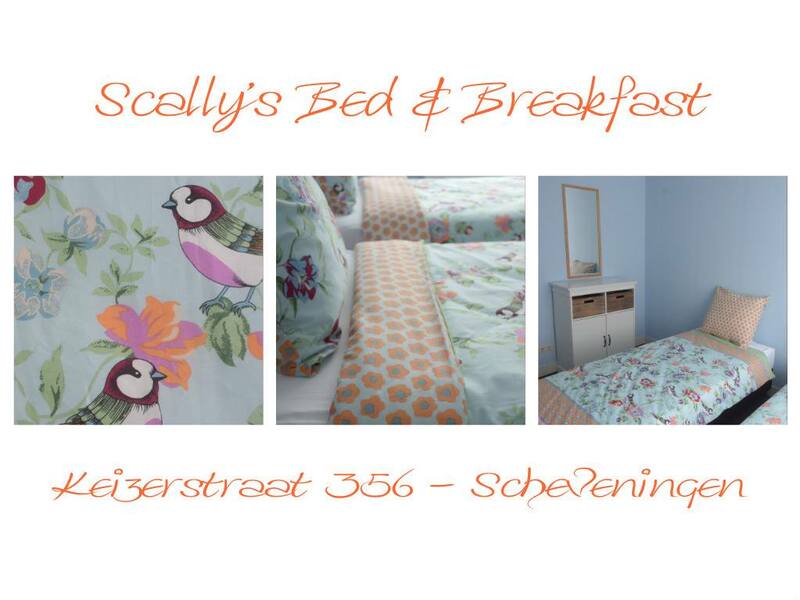 January 2016; Scally's Bed & Breakfast has opened in the Keizerstraat in Scheveningen. 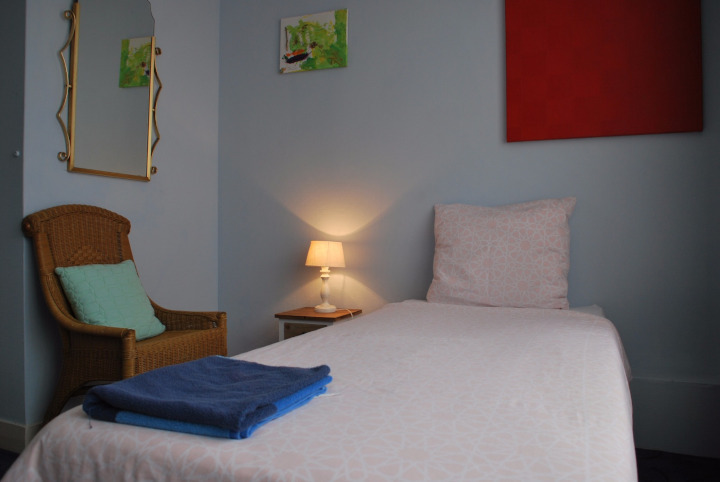 The location is perfect as the Bed & Breakfast is situated in the centre of the old, picturesque fishing village of Scheveningen, just 5 minutes walk from shoreline and beach. A quick tram ride takes you to the close-by city of The Hague. This city of peace and justiice has much to offer its many yearly visitors including canal trips, extensive shopping streets and famous museums including the 'Mauritshuis'. 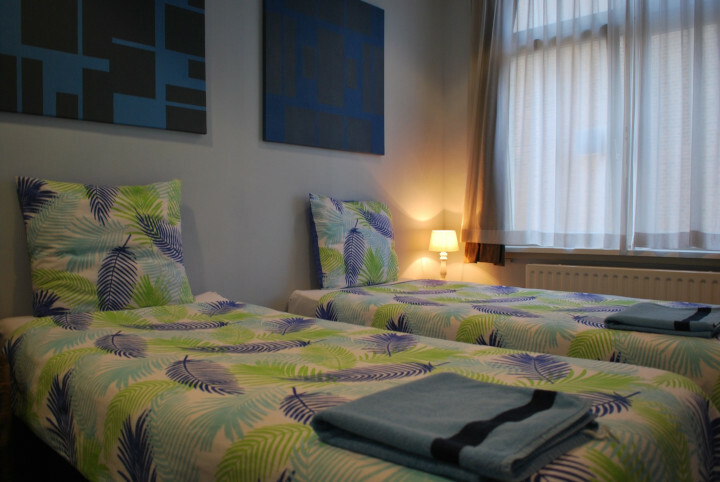 The first floor of Scally's Bed & Breakfast has 3 brightly colored and simply decorated rooms. 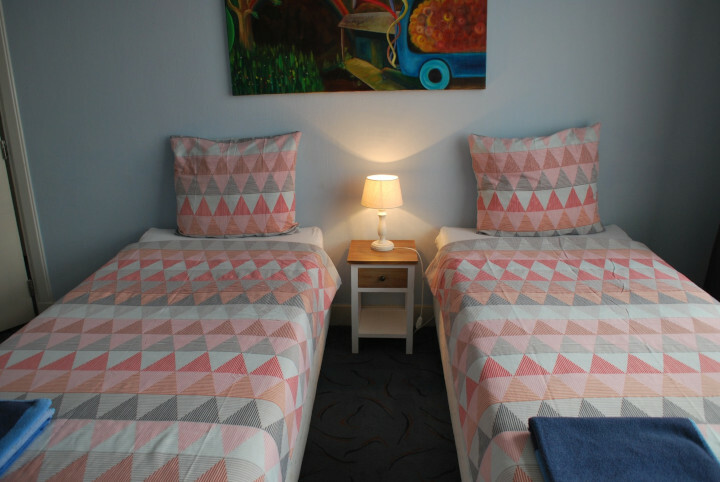 A single, double and triple room is available. An extra bed can be added to the room at an additional cost. The shower and toilet are located seperatley across the hallway and are shared with other guests. The room includes breakfast which is served downstairs in Scally's Tearoom. The Scheveningen location has the Tearoom and lunchroom service just like that at the Wagenstraat.